As you probably know, because I say it all the time, I save all my glass containers. Sauce, pickles, wine etc. 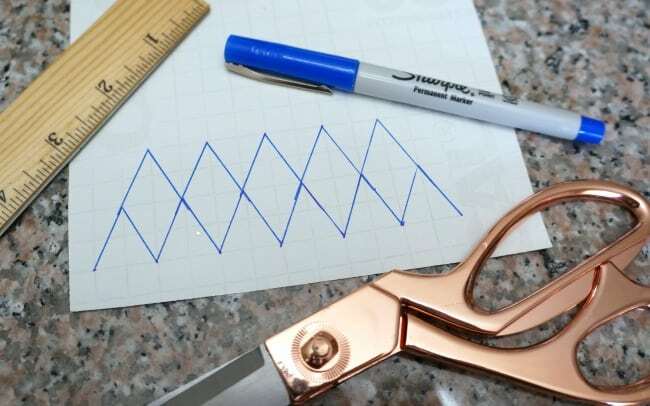 they really do come in handy for all kinds of home and craft projects. 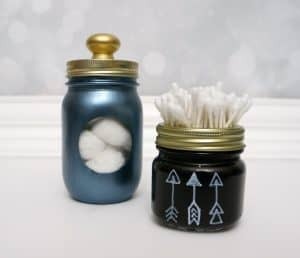 Today I’m sharing a simple glass jar soap dispenser with a simple decoration. I made this using a cute little bottle that was on it’s way to the recycling bin. 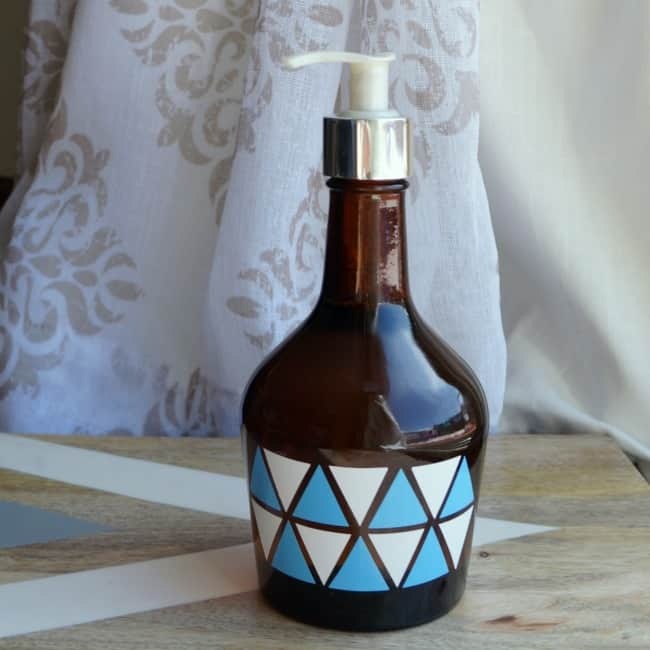 We have a soap dispenser by every sink in our home, and it would be quite expensive and wasteful to buy a new container every time the soap ran out. I like the foam containers the best, it’s so easy to refill them with DIY foam soap. But now that I’m using this pretty glass jar soap dispenser I think I might revert back to the liquid soap again. 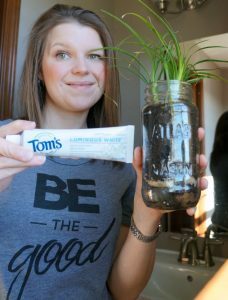 A glass jar is so much easier to keep clean than a typical plastic one, even soap jars get gross after repeated use in a bathroom. That plastic is hard to clean after a while. I had to recycle an old plastic soap dispenser that I just couldn’t get clean anymore. The label was peeling, but wouldn’t come all the way off and it was gross. I saved the pump and cleaned that up. 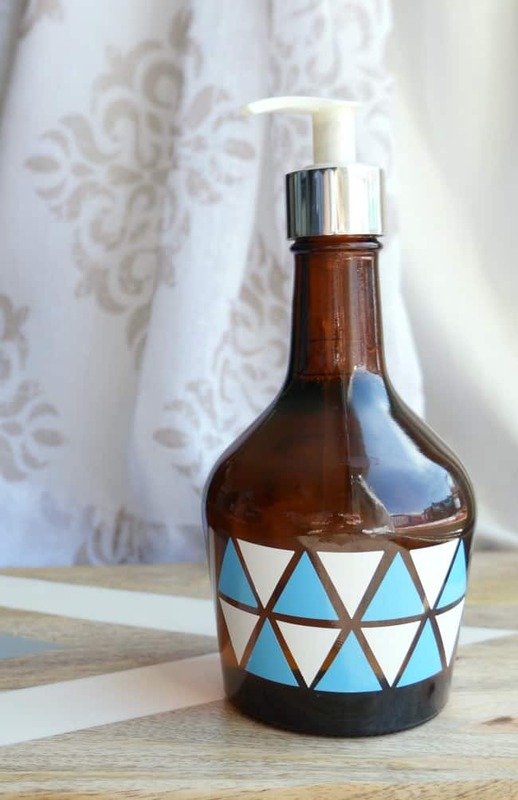 To my surprise it fit perfectly on this brown glass bottle I had in my craft room. I washed up both pieces and filled the jar with soap. 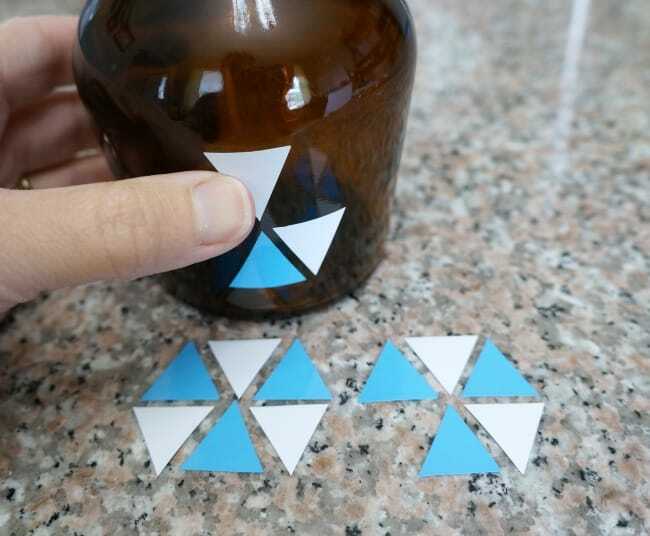 I cut triangles from scrap blue and white vinyl to make a geometric pattern just to dress up the bottle a bit. The grid lines on the back of the vinyl makes cutting shapes very easy. These colors go well in my kid’s bathroom but I could use this anywhere in the house. 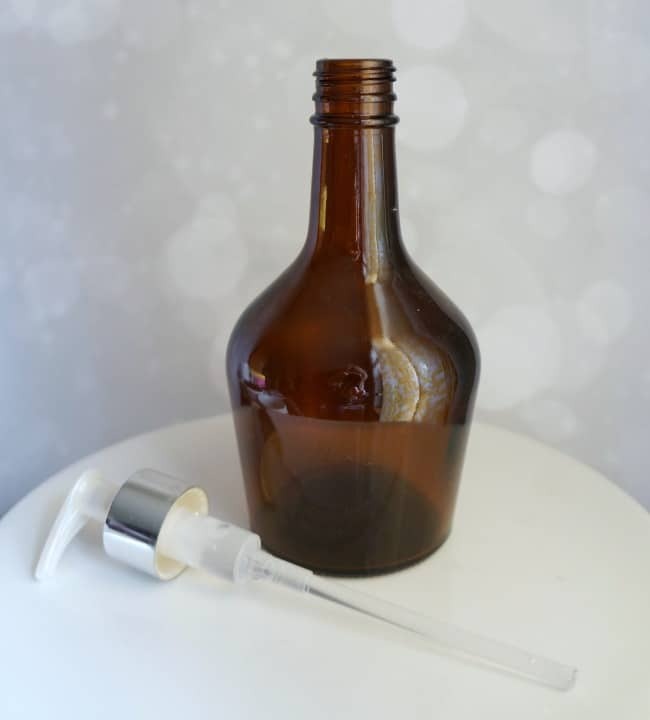 Now that I have made one, I might try this with other glass bottles. Hi Sarah, this is super cute! I’d love to try and make one and soon! Super cute! I can’t stand to get rid of glass jars, either. Our laundry closet is full of jars and cans I’m saving up for projects!